A beautiful memorial chest urn featuring a Rosewood Hall high-gloss finish on hardwoods and veneers, with contrasting inlaid burl veneer on the lid and a velvet lined interior. The lid opens easily with brass hinges. Brass feet and a brass finished key with decorative tassel complete the urn. 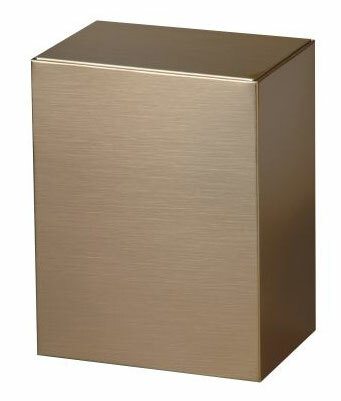 Interior Measurements: 8 1/2" Wide x 6 1/2" Deep x 4 3/8" Tall and has a volume of 270 cubic inches if you do not use a cremains container or insert. 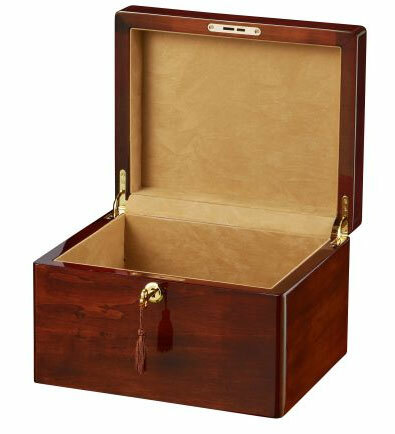 Insert Dimensions: A sheet bronze container may be purchased to fit inside the chest. Volume is about 225 cu in and measures 8 1/2"W x 6 1/2"D x 4 3/8"T.